Outline India partnered with the Centre for Civil Society to conduct an in-depth analysis into the status of schools in Hastsal village. The study entailed the development and execution of a learning assessment for students in Grade 4 on the subjects of literacy, numeracy and moral values across schools in Hastsal. These tests were then analysed to develop an index of students' achievement levels across schools in the area. 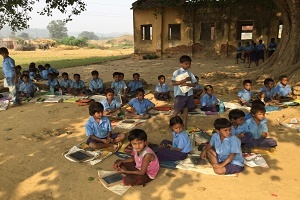 Outline India also conducted a survey to gauge the quality of schools in Hastsal, in terms of their provision of infrastructure, quality of teaching and management and the internal processes they followed. This study is intended to provide advocacy support for small scale private schools under the Right To Education Act.